The photos of Nice Simon's injuries leaked on social networks sparked a debate about domestic violence in a country where many tolerate it, the article said. Comments from the online reactions to the photos suggested that she may have provoked the aggression and others expressed sympathy. This illustrates the scale of the challenge, the article reads. 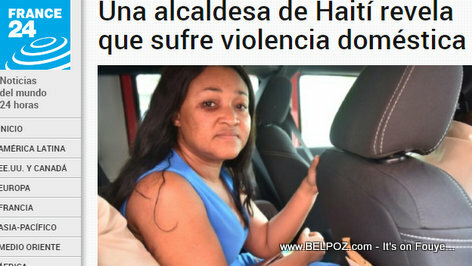 This a big problem in Haitian no respect for woman.she's not your child does not put your hands on them. that stupid any men put hands on women .put them somewhere to think about that.